1. To activate the Romance Luck for those born with "Yang Water" element in their day pillar according to the bazi chart. 2. To activate the Tao Hua Love Luck for those born under zodiacs rabbit, sheep and pig according to the lunar calendar. 3. To activate career luck for those born under zodiacs dragon and monkey. The Rat is the ally of those whose zodiacs are Dragon and Monkey. It will therefore help them achieve maximum results in their undertakings and career. 4. To help the Ox. 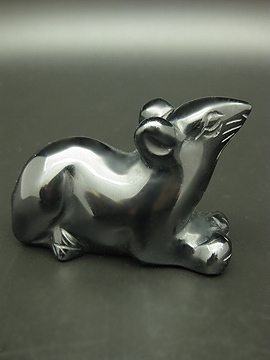 The Rat is the secret friend of zodiac Ox. It will help you through challenges, protect you against harm and provide you with great strength for persistency. It brings you good luck and promises a smoothriding path ahead. The Rat will also be able to patch up a missing corner in the N2 (7.5-352.5 degrees). 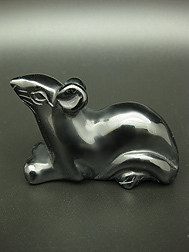 If ones home, premises or office has a missing corner there, they can display the figurine of the Rat anywhere close to the vicinity of the missing corner there.